Things your interior designer won't tell you, But YOU SHOULD Know! Giving a perfect look to your dream office or home may sound simple - just get a designer and he/she will take care of what you need, and you’re done. But it isn't as simple as it sounds. There are some things that you must know before you meet your designer and during the meet, it is possible that he/she doesn't tell you about a few things. This might be because the designer considers it too trivial, it’s plain oversight or they just don’t want you to know - whatever the case, here we are revealing it all, which your interior designer may not want you to know! Here are some things your designer may not tell you about. It may be trivial to them, or they just don’t want you to know. But to you it might make a huge difference. Many people feel that hiring a designer is a costly affair and that if you do hire an interior designer, your dream home is going to cost you a lot. Another misconception surrounding this fact is that only if you're ready to stretch your budget, you must hire an interior designer. Both these are mere misconceptions, it is possible to get your dream home done and it doesn't always have to be expensive, nor is it compulsory to stretch your budget. It is obvious that the budget needs to be kept in mind but any good designer would be able to help you make the most of your budget. Yes, you do have to practical about it as well, and understand you can’t have it all. But by and large you will get a good looking home which would be appreciated by many, within your budget thanks to a good interior designer. Tell him/ her about your budget from the start so that everything can be planned out accordingly. If you have a small budget, that's nothing to hide, tell them and they might be able to suggest more options. The person is an expert, it is his/her job to try and give you options within your budget. It is true that the designer is responsible for delivering the final results. But first and foremost, the designer must know exactly what you want. Communication with the designer is very important and this is something you must keep in mind. It would not be possible for the designer to read your mind and know about your expectations. You have to do the job. Or else be prepared for changes and re-work resulting in additional expenses, delayed projects and wasted time, all incurring more costs, and that would be an expensive affair. Suppose you want to design your new home, and you aren't certain about type of colour or wallpaper. Your husband wants one kind and you want another, eventually, you give in and let your husband choose it, but once it is all done, you decide to change it. In such scenario, you would incur extra labour costs along with the cost of the paint or wallpaper that you're now having removed. Moreover, the time wasted would have been utilised to move the project further. The more time a project takes, the more expensive it will get. Not only you, but your designer's time is wasted as well. The ideal option here would have been to check sample paint or wallpapers and ask the designer for the best option and consider his/her suggestion as well, before going ahead on a hunch, that it ‘MAY LOOK GOOD’. Most designers understand that many people would only want to get some ideas as to what is possible and get some sample designs. It isn't necessary that you hire the particular designer, and only then he/she will provide you with the details and ideas. At times, due to the budget or the kind of living or office space you require, you only need consultation - there is no need to hire an interior designer for the entire project. All you need are suggestions and ideas on what is best. This is why many designers are open to consultation as well. They will in fact even recommend a contractor who could take care of what you want, within the budget you have. However, they will charge some fees for their consultation service. Although, these are generally affordable. There are usually multiple projects, an interior designer juggles with. Hence chances are that you are not the only client they have. In such a scenario, you must not expect 24/7 attention from them. It is possible that they are busy in some other project while you are trying to call them frantically, patience is required on your part as well. However, an expert would be able to manage your project and deliver on your expectations, without any trouble. So, choose your designer carefully. To stay within the budget you have and to have the home of your dreams, you must always prefer quality, over quantity. There is no use doing up your workplace/ home with low quality materials as eventually it would need rework and incur extra costs. Hence, if your budget makes it necessary to pick - opt for good quality fixed furniture over low quality movable ones. Remember that you can always add the moveable stuff to your house/office later on. But it is difficult to renovate a modular kitchen or a TV unit or wardrobe, frequently. So always go for good quality immovable furnishings and fixtures like wardrobes, beds, cabinets and so on, over more of movable items like furniture like dining tables, coffee tables, chairs, small cabinets, etc. which you can change easily later. Always keep an additional buffer - some potential of stretching the budget. Chances are you may feel you want a certain thing changed mid-way or alter a certain component while it is being installed. In some circumstances, you may want to add a new item! In such cases having some buffer budget helps. All interior designers are experts but it isn't necessary that you will be a perfect match to any designer. Interior designers have their own way of working and it is possible that at times, the forte and style of working of a particular designer is different from what your project requires. Hence, meeting with an interior designer and asking the right questions is crucial. You need to be able to share ideas and suggestions. If you feel the designer isn’t able to gauge what you expect, is pushy, or you feel like it would go over budget, or anything which just makes you feel uncomfortable, don't choose that designer. Even if the designer has immense experience, if he/she doesn't match your expectations, it would create a lot of problems. The comfort level with the designer and getting clarity of expectations is paramount to the success of your vision for your dream home or office. Do refer our earlier post we wrote on the essential things to keep in mind when picking the right designer. An interior designer's job may appear to be creative and easy. When you see an interior designer in action, chances are you may feel they have it so easy. They would suggest you things and have a good idea of what would suit, what would not. They’d just make some calls and have the experts and materials all made available. But one thing often missed is the years of experience which has gone into making these tasks seems so easy. There is hard-work and often long hours involved, not to mention the creative aspect. All this is behind what appears to be ‘easy’ job. Also, they juggle with multiple projects, deal with the labour, keep a check on every site, follow up with you, vendors, partners, etc. It is all hard work! All they expect from you is to ensure that you're reasonable with them. 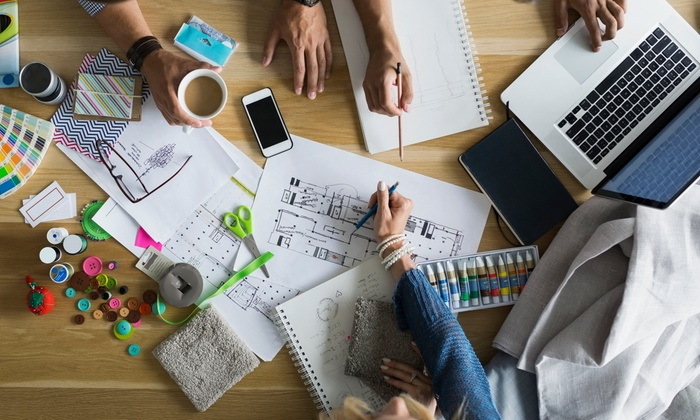 With so many things to be taken care of, you might be wondering if it's easy to find the correct interior designer for you. Someone who is honest and transparent about pricing and costs, is in tune with your requirements & will deliver on time, among other things. The answer is Yes, it is! You can find the perfect designer for you with Hipcouch! Just book your consultation and relax. We would arrange a consultation with our hand-picked design partners. Also, with us you can be rest assured of great quality with timely deliveries. We take care of everything - It is easy, you see! Hope you find your perfect home decor match and get the workplace/home you've always wanted! Newer PostWhat Factors Influence the Cost of Your Furniture the Most & How Can You SAVE on It? Older PostEver Wondered What Interior Style These Famous Celebrities Prefer?